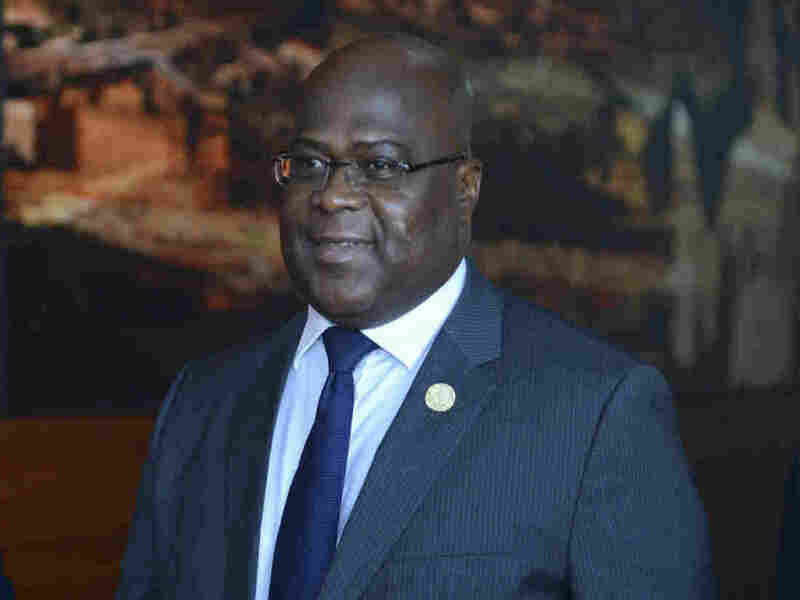 Tshisekedi Frees Some 700 Political Prisoners In DR Congo President Felix Tshisekedi is signaling a more tolerant approach to political opposition than his predecessor Joseph Kabila. Congo's president Felix Tshisekedi arrives at the 32nd African Union Summit, in Addis Ababa, Ethiopia on Feb. 10, 2019. The conciliatory gesture frees political opponents imprisoned by Tshisekedi's predecessor, Joseph Kabila, who had governed the central African nation for 18 years. Tshisekedi was elected president of the DR Congo in a disputed election last December which some foreign observers, including the Catholic Church, said favored opposition leader Martin Fayulu. Tshisekedi's inauguration marked the first peaceful transfer of power in that country since 1960. "I will actively work to create the conditions for the early return of compatriots who are currently outside the country for political reasons to carry out their activities in accordance with the law and republican institutions," said Tshisekedi as quoted by Africanews. Among the pardoned are Firmin Yangambi, who has already served 19 years of a 20-year sentence on the charge that he was a threat to national security, and opposition leader Franck Diongo who was sentenced to five years in prison, according to the Associated Press.